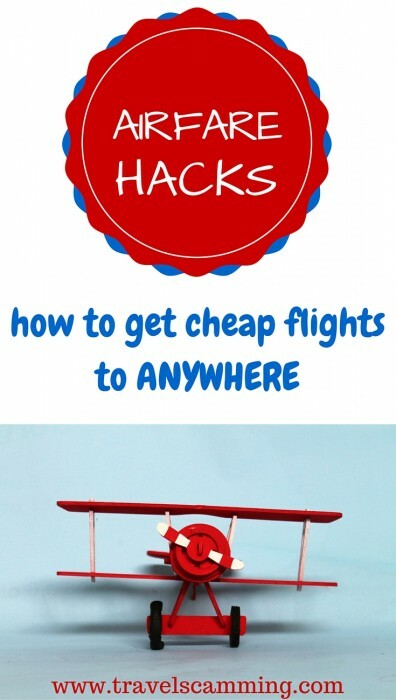 The travel tip I get asked for most is for my airfare hacks. People want to know how to get cheap flights and affordable airline tickets. Here are my secrets to getting to where I want to go for the cheapest price. For International flight, I recommend buying your ticket 30 days in advance. You will find the cheapest airfare for domestic flights about two-three weeks in advance. For domestic flights, you will usually find that prices go down around three-four weeks before your flight, so don’t book too early. Hopper is a great app that helps you know the cheapest day to fly. I have found that buying two one-way tickets is sometimes cheaper than buying the round-trip airfare, so make sure to check both prices before buying the ticket. This is one of those airfare hacks you won’t hear about from the airlines. The reverse can also be true. Sometimes, it’s cheaper to buy round-trip and not one-way, so look both ways before you buy. If you are flying just one-way, you don’t have to use the second part of the ticket. The cheapest days to fly are usually Tuesdays, Thursdays, and Saturdays. 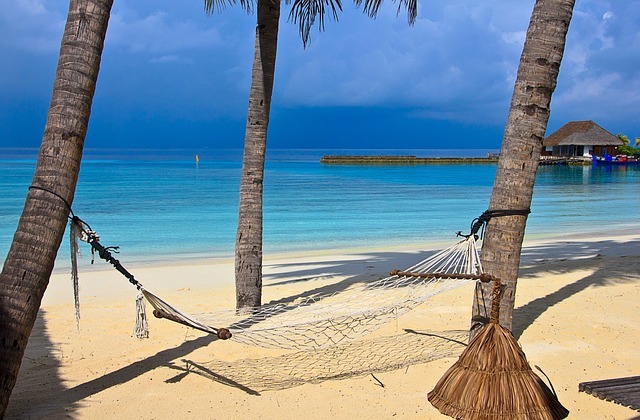 If you are flexible with your itinerary, you can get cheap flights to just about anywhere. Skyscanner– What I like about Skyscanner is that you can do a search for flights to “everywhere”, and it will show you the prices from your destination to everywhere in the world. Momondo-Momondo includes the discount airlines that a lot of the other flight search engines don’t. I like that it will also easily show you the quickest flight if time is more important to you than money. Momondo has come up with the cheapest airfare price 95% of the time I’ve searched for flights. Google Flights-If you don’t know where you want to go, Google flights is a fun tool because it will allow you to select flights according to your interests such as food, wildlife, or beaches. Kayak-Kayak is great because it shows you the cheapest days to fly for the entire month once you put in your destination. It’s convenient especially if you are flexible with the dates you can fly. Kayak removes budget airlines from their search, though, so I’ve found it doesn’t always show you the cheap flight you are looking for. ITA Flight Matrix– ITA flight matrix shows you the cost per mile for your flight, and is a very comprehensive search engine that pulls up more flights than many other flight search companies. The amenities may not be great on budget airline flights, but you can save enough money that it makes up for it. I like looking at WhichBudget to see which budget airlines fly to my destination. Sometimes a flight that looks cheap won’t be by the time you add your bag. I almost recently booked a Wow Air flight to Iceland, but then after looking at the high baggage fee they charged, I discovered it would be only a little extra to fly in much more comfort on Iceland Air. Also, check on food and beverage costs. Some airlines like Norwegian Air don’t even give you free water on International flights. If you drink as much water as I do, that discount flight doesn’t wind up being very cheap. Do your research! Always do a search for nearby airports when searching for your flight. You can often find cheaper flights by flying into an airport nearby than by flying directly to your destination. I find this to be true, especially when flying to Europe. Europe has many discount airlines that can get you to the airport of your destination once you are over there. Usually London is the cheapest airport to fly to when flying to Europe. One of the easiest airfare hacks is to remember to set your browser to private mode. Airlines track your cookies, and if they see you’ve searched several times for the same flight, you will see the prices often go up. If you buy a ticket directly from an airline, and the price falls, they will often refund you the difference. Always make sure you are getting the best deal even after you buy the ticket. Often the exchange rate the airline offers is really bad. I usually save a lot of money and find cheap flights by paying in the local currency rather than my own. This is another one of the great airfare hacks that people forget to check when looking for cheap flights. Great tips! I didn’t know about WhichBudget – that will come in handy, for sure. Amazing tips!! I used to spend hours looking for flights, but after the new house and wedding, it seems I am out of the loop! Will be keeping this handy for the future. Thanks for these helpful tips! I never know if I’m getting the best deal on booking flights. I’ll use these recommendations moving forward when I plan trips to other parts of Australia and Southeast Asia! Ooh, the incognito browser is a good one I hadn’t thought of, as is buying in the local currency! Thanks for this useful list. Lillie recently posted…She’s Here! Our New Baby is Here! Woo Hoo!